Growing up in Italy in the 1960s, World War II was quite remote to me. Although I was not fully aware of it, the country was experiencing its "economic miracle:" a few years of rapid and sustained growth that saw the movement of millions of people from the south to the north, from the interior to the coasts, and from the countryside to the cities where new industrial jobs had become available. 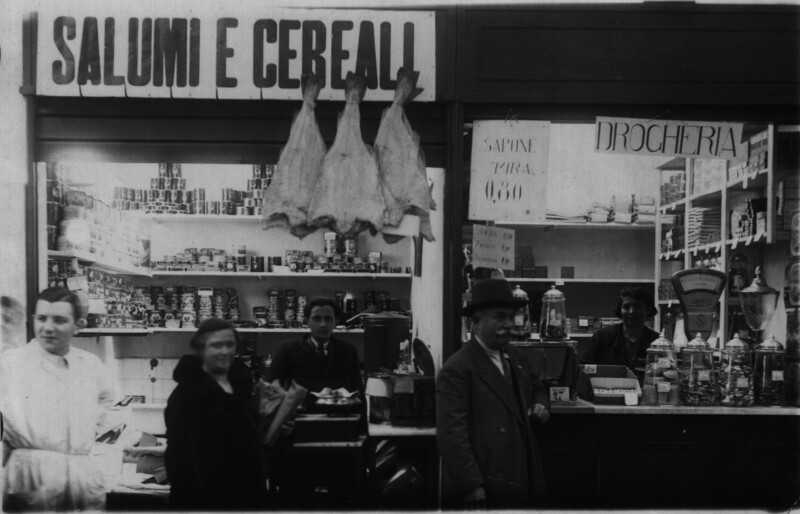 As the damage and destruction from the recent war was erased, Italians were eating their way towards the future, enjoying their newly found resources and access to a variety of ingredients and products that had no comparison to any previous era. I had not known any other way of eating. Although we may still not have been eating meat too often, we were consuming mass-produced cheese, desserts, and cold cuts. Canned food was widely available in supermarkets, a relatively novel concept for grocery shopping. Frozen food was creeping its way into our fridges, many of which only had a tiny icebox that needed to be deiced pretty often. Yet, every time I did not want to eat something, here came the war stories. My parents were children during the Nazi occupation, when food was very hard to come by, and only available on the black market at outrageous prices. My mother's family left the city for their mountain village where, at least, the occasional egg and fruits and vegetables were still available. My father remembers when the American GIs entered Rome, distributing chocolate bars; he ate so much of it, he got seriously sick. And they were the young ones. My grandparents' generation had their own trove of stories about hunger, great for guilting me into eating, but they were less overt about it. From them, I often heard stories of food sharing, celebrations, and culinary prowess despite scarcity. I knew that those had been hard times for them, preceded by the harshness of World War I and the following years under Mussolini, when food became increasingly scarce due to the leader's dream of autarchy and self-sufficiency. However, many of that generation had ambivalent feelings towards Fascism. Some had fond memories of the youth activities and the trips to the beach organized by the party. Others longed for a sense of order that was constantly threatened by the swift changes of the 1960s, and later by the dark shadow of terrorism. Others blame Mussolini for all the injustices and hardships they had to go through. The same mixed perceptions emerge in the stories that Karima Moyer-Nocchi collected in her book Chewing The Fat: an Oral History of Italian Foodways From Fascism to Dolce Vita. She interviewed elderly Italian women from different social backgrounds and geographical origins, who had all experienced the events in the first half of the twentieth century. The specific point of view the author has chosen is food, which played a crucial role in most women's experience as they were expected to produce, process, sell, buy, cook, serve, and -- with any luck -- consumed it. Due to its absence, it was a constant theme in social and political life. Readers are introduced to recipes, ingredients and culinary techniques that many Italians are likely to have forgotten, erased with the bad memories of those years. We hear voices of an old aristocratic lady from Bologna as well of a sharecropper from Basilicata, in the south. Lives in the city and in the countryside could have not been more different. Moyer-Nocchi also intersperses the stories with information about the period, which can be quite useful to non-Italian readers. Although the choice of translating the women speaking in dialect with a Southern-inflected American English is debatable, the author succeeds in conveying a life world that needs to be remembered and appreciated in its complexity. There were no heroes or villains, just people struggling to survive. History may not repeat itself, but it is always important to know were we come from to have a more objective and informed vision of where we are, especially at a time when Italy is going through a deep recession, fears of immigration and terrorism dominate the public discourse, and the specter of dangerous forms of populism is gripping the country.